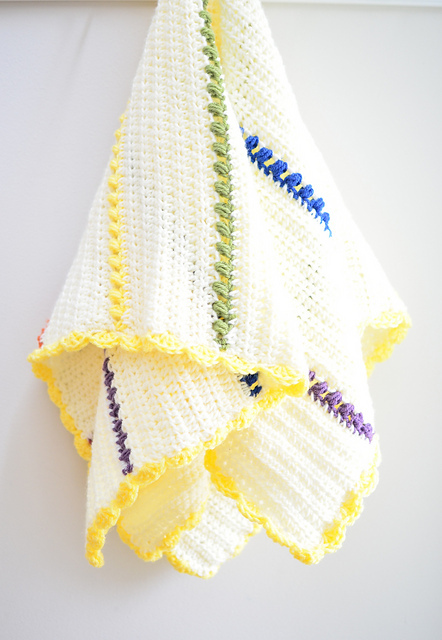 A cute blanket in light color for children. Is perfect for boys and girls. It’s a free pattern. 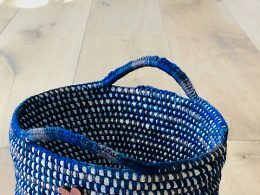 It is made of soft materials. See for yourself how cool it is! 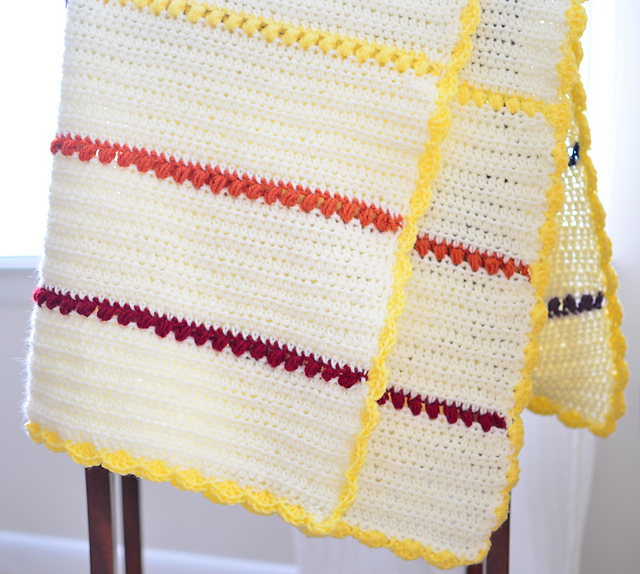 This sunny blanket is made of two rows of double crochet. It’s simple and fast. 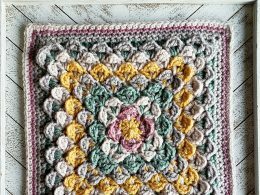 This pattern is ideal for children of all ages. Colorful stripes emphasize its beauty. For work use the Lion Brand Pound of Love. Give your child a big gift. I’m sure he’ll love this blanket! Rainbow Stripe Baby Blanket Free Crochet Pattern is here.